Sellers need to optimize their content for search engines to allow prospective customers to find their business. E-commerce is rapidly changing with the addition of voice-only searching and ordering products. 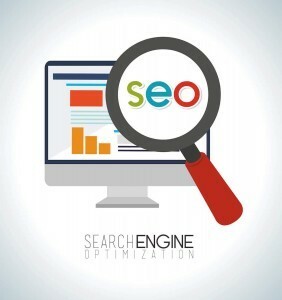 Search engine optimizers need to be ready to handle the changes swiftly. This article examines how mobile-first indexing could impact Google’s platform along with the competition it faces from Amazon and Apple to capture the most significant market share. Google’s focus going forward is on creating a cross-device, one-click payment system to make the shopping experience more enjoyable. The PWA-enabled system will work from the web so it can be used on any device with a browser, including Apple phones running iOS. Google Wallet has primarily been the option for desktop users, with Android Pay being the default option on mobile phones. Using an integrated system will create a seamless shopping experience that capitalizes on new technology. One system also creates more competition for Amazon Video, iTunes, Hulu, and Netflix. Google feels that they are ready to compete with Amazon Prime with low prices and immediate shipping. Mobile-First indexing allows users to interact using only their voice to find information. Your product needs to fulfill what the searcher is looking for, or they need to ask for it by name for it to pop up. The Internet has already contributed to more offline stores closing their doors as consumers overwhelmingly shop online. Voice search should allow consumers to make simple purchases while narrowing down their options. Integrating Google Shopping and Google Express allows users to purchase items directly from Google using their voice in a system similar to Amazon Prime. The platform creates competition for Amazon Alexa’s voice ordering options since Google Express partners with major department stores to offer same-day shipping, automatic billing, and voice ordering. Some consumers may opt only to use providers that offer these options. The number of sponsored listings skews search results towards companies that partner with Google Express, making it more difficult to be seen, even with effective SEO. Google also has begun utilizing images in searched for product descriptions, as evidenced by recommending similar options through image recognition and dynamic sharing links. Tracking is becoming more complex with Mobile-First Indexing since it is necessary to report on information obtained without a static URL. The technology will offer more information on how other things such as Instant and Native Apps perform. ECommerce web design is crucial to the future of shopping. The recent changes in Google’s indexing could modify how your results show up and require you to modify how you market your products to keep up with the trends.